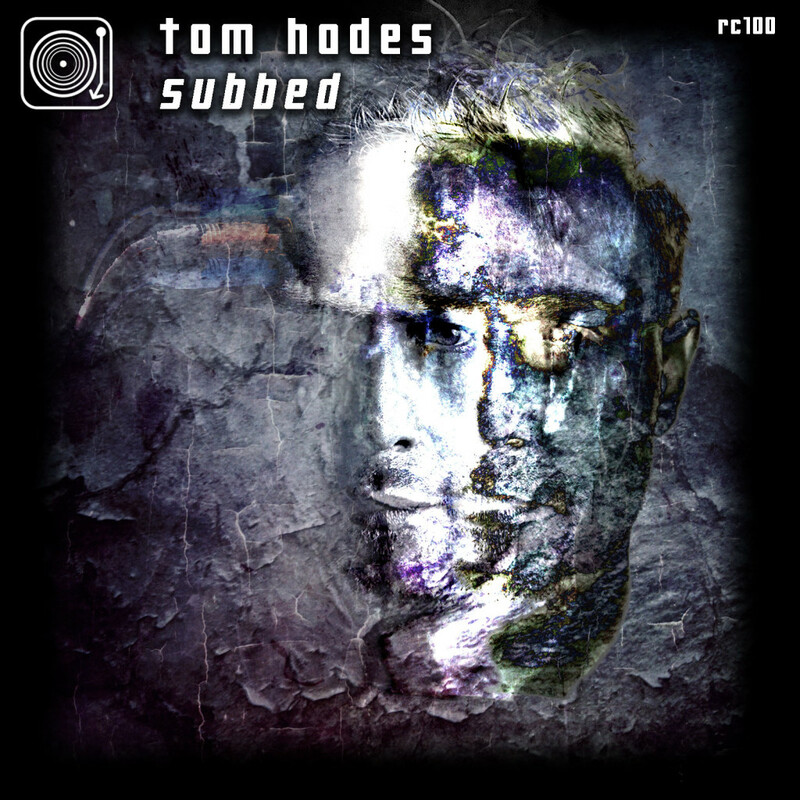 Tom Hades returns to his Rhythm Convert(ed) label as they celebrate their 100th release. This special milestone marks a point of transition for the label as they focus more on live-recorded tracks. The artist roster will be smaller, and each release will feature a beautifully unique piece of artwork. The title track is long and drawn out, building on the groove with distorted synths to create a hypnotic drone. The main break is brief enough to preserve this effect, but long enough to introduce a snare roll that shapes the energy with the precision of a laser. “Hotel Devon” is notably softer and deeper, focusing on constant automation and demonstrating that one sound can convey one thousand feelings. The hook that loops for the duration of the track is delightful and bubbly, blending nicely with the delicate beat. This is our favorite tune of the release because it carries unfathomable emotion. We can tell that Tom went all out this time, and we look forward to finding out what he and the Rhythm Convert(ed) crew have in store for us! “Subbed” will be released on Rhythm Convert(ed) on February 1st. Drumcode is kicking off the new year in style with a brand-new A-Sides compilation. This fourth installment on the Swedish label features tracks from household names like Alan Fitzpatrick, Harvey McKay and Nicole Moudaber, but it also includes newcomers like Pirupa and Ilario Alicante. Selling point of this compilation is that each track brings something different to the table, which makes it an excellent showcase of what the label has to offer. The compilation opens with Adam Beyer’s track “Pluto”. The track starts out with a short melodic riff, which builds towards the break where the track unleashes all of its power. It does so with a raw and energetic melody that’s unlike anything that Adam has released before. Next track is Alan Fitzpatrick’s “Eternia”, an upbeat track with sparse percussion that gives off a somewhat melancholic vibe. With deep basses, lush synths and a short, repeating vocal part, Alan has managed to create a captivating journey that will find its way to the hearts of many listeners. Pirupa debuts on Drumcode with a production under his “Brain Zoo” alias. The track is called “Dee Pawa”, which can be described as upbeat, melodic and very different when it’s compared to earlier tech house releases from the Italian producer. Already heavily supported by Adam Beyer, this track is guaranteed to become one of the hits of 2016. Harvey McKay makes a grand return to Drumcode for the first time since last year’s “Glasgow Safari” with “The Mad Drummer.” Right off the bat, it is easy to hear that this is something special, with a swooping, bass-range synth, coupled with dark snare and hat rolls that come into the mix soon afterwards. All in all, the atmosphere is different than expected, making it one of the top tracks on the compilation. Ilario Alicante makes his first appearance on Drumcode with “Temporary”, a very melodic track that’s driven by an intricate bassline, various, interchanging percussion layers and a charming melodic section, which changes and is built upon during the break. A promising debut! If you thought Harvey’s track was different, wait until you hear Dustin Zahn’s offering, a big-room stomper called “Born Spark.” Dustin himself has mentioned that this track is different than what he normally likes to produce, and that the purpose was to produce something that would sound good in his big-room sets. He did not originally intend to release the track, but we’re glad that it has seen the light. Listen for a heavy Fitzpatrick-style bassline, a siren-like lead, and the periodic sample of a Piccolo Pete firework, which may be where this tune got its name. Up next is a new track from techno and house heavyweight Nicole Moudaber, and this one is far on the techno side. It is her first contribution to the label since “Rooted,” on the second edition of this compilation from a couple of years back. One thing is clear: Nicole really knows how to take her listeners on a journey. The track evolves over the length of its nine minutes, first expanding the percussion, then adding haunting vocals and sweeps, and finally adding a stab that’s straight out of Drumcode’s golden age (read: 2013). Mark Reeve makes his return to Drumcode only one release after his last Drumcode EP. Thus it could be tempting to think of his offering for the compilation as an “extension” of the EP. But don’t be fooled–“Exodus” is more similar in many ways to his debut Drumcode release “Drumatic” than it is to the recent EP. With an arpeggio that loops separately from the beat, the track has a flowing feel, which is reinforced at the break by long synth swells. Nick Curly delivers with “BBC” a modest tech house track that slightly resembles his earlier track “Crossroads” that was released on Truesoul in 2014. With the help of subtle synths, a funky bassline and atmospheric pads, the German producer has created a track that’s exactly what you’d expect from him. Closing the compilation is a tune that is, in my opinion, easily the best track of the album. dubspeeka has been on fire lately, with a streak of massive releases and remixes that began last year with “Primary,” continued with EPs for Truesoul, Sasha’s label Last Night on Earth, and dubspeeka’s own Skeleton imprint, and shows no sign of stopping now. “K185” keeps things properly simple, while still giving off a vibe of something incredibly subtle and complex, from its bell lead, to its dark and windy pads, to its ghostly vocal accompaniment. 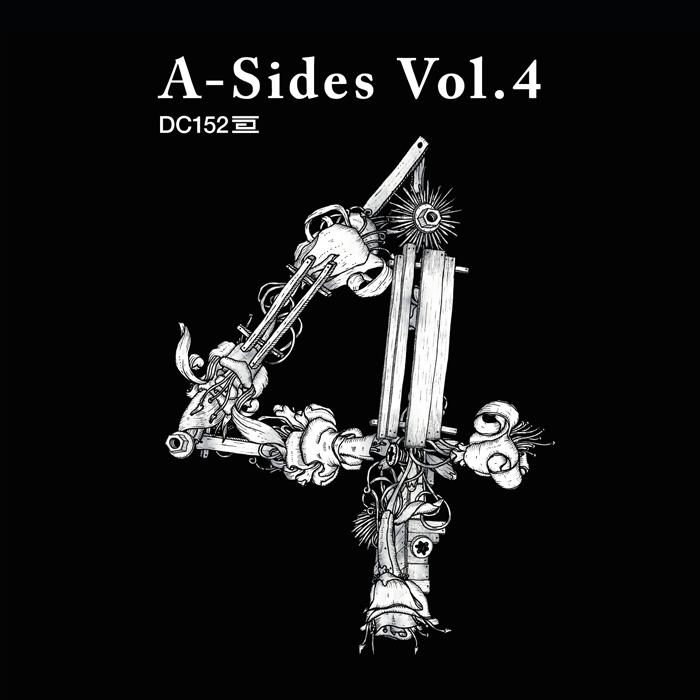 The “A-Sides Volume 4” compilation is out now on Drumcode. Written by M1KRONAUT (4, 6-8, 10) and Bram (1-3, 5, 9). Mark Reeve returns to Drumcode for the first time since his debut in 2012. “Drumatic” was well received, and rightly so, for each of its four tracks were deliciously dark and drum-heavy. For this occasion, Mark has cooked up four tracks that are entirely different than anything he has released up to now. He has taken his recognizable style to another level, with new melody and ambiance folded into heavy bass lines and his signature percussion. And the result of this change of style is an EP that might possibly be our favorite of the entirety of 2015. ‘Run Back’ opens things up with an airy piece. The distant vocals blend perfectly into the uplifting melody, and the track explodes about halfway through into a full room techno sound with hard hitting kicks. Next is ‘Exposure,’ which takes you on a darker ride, returning to that more industrial warehouse sound. As the vocal slowly builds, you are suddenly treated to piercing synth stabs that are surprisingly melodic. All the while the catchy percussion drives the track forward. Then there’s ‘Hold Me,’ which is our favorite – with it’s chilling vocal that makes us want to instantly close our eyes. You’ll get what we mean when you hear it. Just try it. Closing things out is ‘Can’t You See,’ a real full-bodied track with a much more complete vocal that highlights a strong break. Overall this track takes on a bit of a “housier” feel to it, in a way that we really adore. 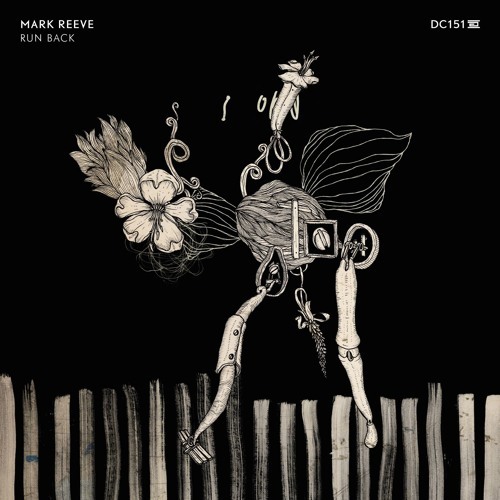 Mark Reeve ‘Run Back’ EP is out on Adam Beyer’s Drumcode label. 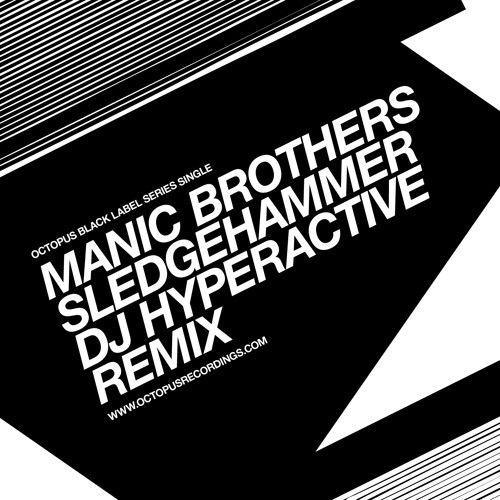 Fans of the Swedish duo Manic Brothers were undoubtedly disappointed in September of 2013 when they found out that the brothers’ new EP for Drumcode did not include “Sledgehammer.” This monster of a track had its debut in DCR147 (which, incidentally had no track listing) almost two years ago, and since then the excitement for its release has been indescribable. A couple of months ago, the brothers announced that this track would be dropping on an unexpected label–Sian’s Octopus Recordings. “Sledgehammer” was released last Monday, and did not disappoint. Though the track has been changed slightly from the first version, it is every bit as strong and still carries that signature Manic Brothers energy. The track starts with the kick and bass, slowly fading in rides and other elements until the first break, where the track truly explodes. The groove is so simple, and yet so effective, which is why Manic Brothers are one of my all-time favorite artists. On the B-Side is a remix from DJ Hyperactive, a dark and hypnotic groove which let’s his years of experience show. The track features grating pads, which have an unmatched effect when coupled with the percussion stab from the original mix. ‘Sledgehammer’ is out now on Sian’s Octopus Black! Opening the release is the much-awaited “Le Ly Land,” featuring a distinctive metallic lead that wishes and washes over the hats and rides. The tension is released into the break, where a low-pass filter is used to build the tension to the breaking point, along with strange, processed vocals. “Trust Me” is lighter, with short bursts of hats or vocals here and there. As the music builds and the hats and stabs fly, the hook folds in, slowly bringing the production together into a set-building anthem. 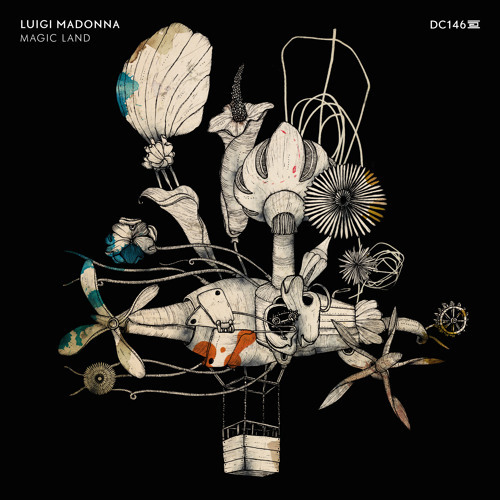 “Dirty Games” is minimal and percussion-focused, with thundering toms and Luigi’s signature metallic hats. The descending hook drops in to provide a solid bit of spice to the dark sound, creating an incredibly suspenseful groove when coupled with the eerie pad. “Spacecode” acts as an ideal closer, sounding very alien, with an analog pad-style lead and unusual percussion rhythms. The bold bassline and crunchy stab preserve the the track’s danceablity and create a big-room feel. Overall, this track is very unique, making it a stand-out on the EP, and indeed, amongst the recent Drumcode releases. 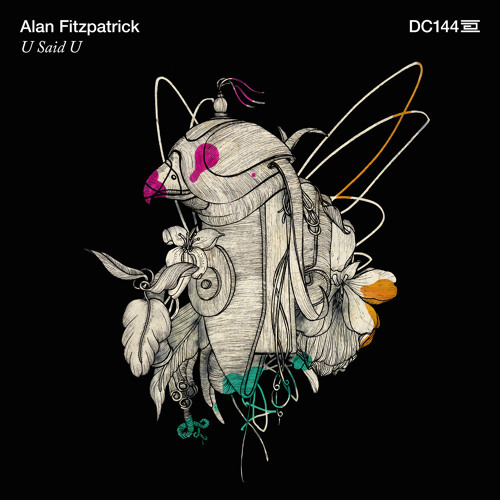 Alan Fitzpatrick has long been a favorite of Adam Beyer’s Drumcode Records, and he reached 10 solo releases for the label last year with “Turn Down the Lights.” Now he’s back again with yet another EP for the label, and this three-tracker is one of his best yet. The release opens with “U Said U,” a melodic peak-time track with some retro elements. The track begins softly enough, first building on the percussion, then fading in the unforgettable string and vocal hook. After a brief first break, the track drops into an entirely different section, with deep and scattered bass stabs. “Love Siren” is slightly more minimal, but not a bit less powerful. The structure is straightforward, beginning with a minimal beat, then bringing in a delayed drum hit. The pressure builds as the vocals fade in with the string section. A snare roll helps to bring the tension to the absolute max before the beat drops again with a gasp of a one-note saw wave stab. The process then repeats, making for a surprisingly powerful club banger. The EP closes with the masterful “Rumours.” The closer is a deeper track with a stripped back vibe, beginning with a soft repeated note. This track progresses slowly, and peaks more than two-thirds of the way through, allowing for a long and emphasized build. The single note turns into a short loop, which continues to filter and blend with the percussion until the hook breaks in out of the blue. After a brief-but-fulfilling melodic exploration, the track quickly winds down, wrapping the EP up nicely. “U Said U” is out now on Drumcode. The legendary dubspeeka is back on Truesoul! “Bela Lugosi” acts as a follow-up to both his “Noise” and “Primary” EPs, combining typical Truesoul sounds with heavier and darker elements. For the new EP, Darren has given up the use of conventional titles entirely in favor of his mysterious numbering system. Opening is “K314,” with its atmospheric sweep and memorable pulsing melody. The use of resonant filters and sliding pads make the track a true masterpiece. Coupled with the distorted kick and simple hat pattern, these elements are a recipe for an instant hit with Truesoul and Drumcode fans alike. Next is the long and progressive “Ksk3,” which is much darker than a typical Truesoul track. After a relatively brief intro, the repeated hook cycles in, growing and changing until the main break. The break is difficult to describe without using the words “magnificent” or “breathtaking,” as the growling, chill-inducing lead fades in. This section alone is enough to ensure this track’s longevity, and the composition as a whole solidifies its place in techno history. “Ksk26” brings the light. This one is much more typical of the Truesoul sound, with the metallic, dubbed out drums. Uplifting, bright pads and atmosphere are the main characteristics of this one. The track floats lazily along, adding and subtracting elements as it pleases. Closing the digital release is “K243,” featuring a broken beat and crunchy percussion loop that provide the underlying structure for a steel beast. The sound here is very experimental, making it a great representative of all that Truesoul is about. “K319” is a vinyl exclusive which plunges back into the darkness. A hard snare drum sets the groove in place on alternating beats, while tiny phased hats support the track’s movement and life. Eerie vocal snippets and a deep pad create a late night vibe. This track wraps the release up nicely, summing up the current dubspeeka sound. “Bela Lugosi” is out now digitally on Truesoul, and will be out on vinyl soon!